Eleven Bible Lessons for Teens ages 11-16. Compiled by Tatyana Bursyanina, Tatyana Omelchuk, Lily Shatilova. Editor-in-Chief: Alexander Kharitonov. This edition is prepared in partnership with the Siberian branch of Scripture Union. Ten Bible Lessons for Teens ages 11-16. Compiled by Viktor Artemov, Oleg Pavlischuk. Edited by Alexander Kharitonov, Daria Kolessova. Ten Bible Lessons for Teens ages 11-15. Compiled by Tatiana Bursianina, Sandy Larsen, Lilia Shatilova, Viktoria Bortko, Kevin Hamm, Andrey Borodeev, Olga Izhboldina. Edited by Alexander Doobchak, Daria Kolessova. Editor-in-Chief - Alexander Kharitonov. Activities to Help Campers Appreciate the Wonders of the Outdoors. Written by Gary Fawver. Translated from English by Lehv Panchikhin. Edited by Alexander Kharitonov. Ten Bible Lessons on the Life of King David for Teens ages 11-15. Compiled by Viktor & Anna Artemov, Dmitri Sherba. Edited by Alexander Kharitonov. Ten Bible Lessons on Christian Ethics for Teens ages 11-14. Compiled by Viktor & Anna Artemov, Julia Hamburg, Dave & Elfrieda Loewen, Vladimir Shevchenko. Edited by Alexander Kharitonov. This program can help answer the questions teens ask most often. The lessons are designed in such a way that even counselors with little experience can teach them and even the most seasoned campers will still find them interesting. Six Lessons of Inductive Bible Studies for Teen Campers. Written by Sandy Larsen. 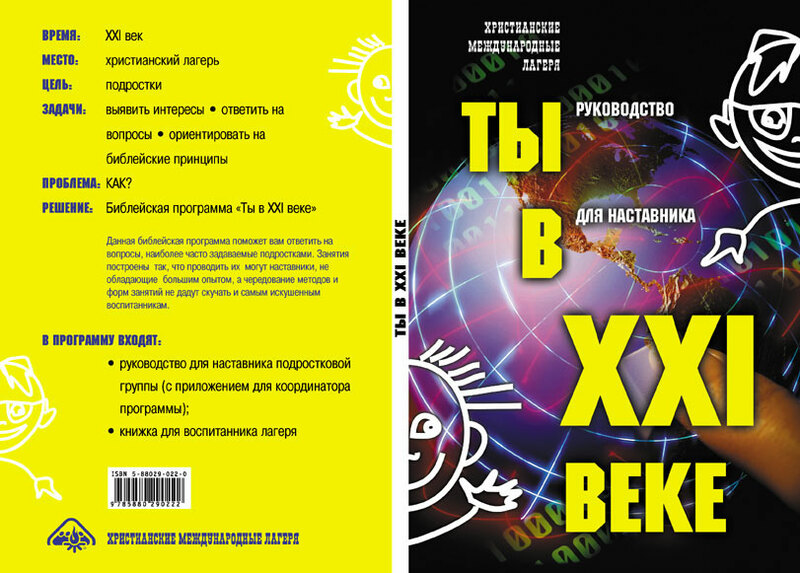 Translated from English by Benjamin Kharitonov. Edited by Alexander Kharitonov. Ten Bible Lessons on the Birth and Purpose of Jesus Christ of Nazareth. Compiled by Viktor & Anna Artemov, Julia Hamburg, Dave & Elfrieda Loewen, Vyacheslav Malinovsky, Katharina Penner, Vladimir Shevchenko. Edited by Alexander Kharitonov. Seven Bible Lessons for counselors to teach nature in a Christian Youth Camp. Written by Gary Fawver. Translated from English by Nikolai Ivanov. Edited by Alexander Kharitonov. Written by Sandy Larsen. Translated from English by Andrei Roumiantsev. Edited by Alexander Kharitonov. Ten Bible Lessons for a Christian Youth Camp. Written by Enoch Olson. Translated from English by Vladimir Shevchenko & Alexander Kharitonov. Ten Bible Lessons based on the Old and New Testament. Written by Sylvester Dirks, Johann Hildebrandt, Dave & Elfrieda Loewen. Translated from English by Alexander Kharitonov. Ten Bible Lessons based on the New Testament. Written by Dave & Elfrieda Loewen. Translated from English by Andrei Roumiantsev & Alexander Kharitonov. Ten Bible Lessons based on Genesis and Exodus for Christian Youth Camps. Written by Peter Daniel Loewen, Sylvester Dirks, Dave & Elfrieda Loewen, Johann Hildebrandt, Anna Martens-Artemov. Translated from English by Alexander Kharitonov. Written and edited by Alexander Kharitonov. 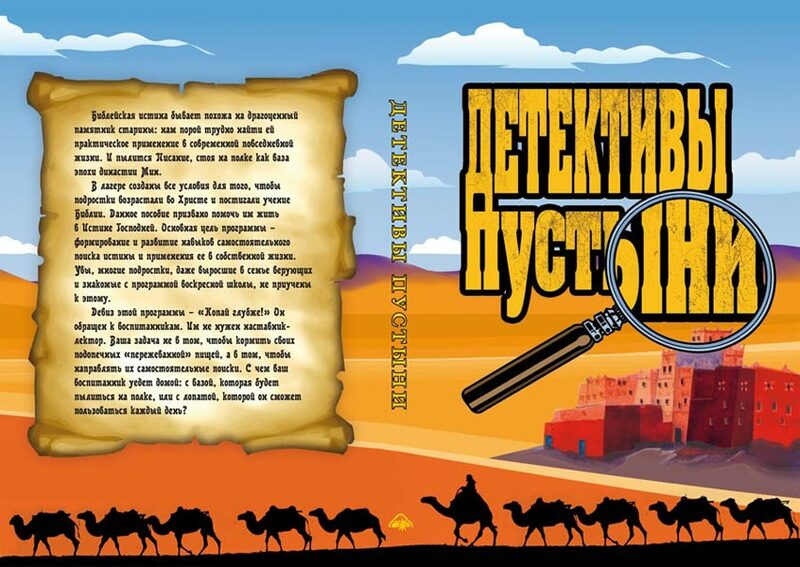 Contributors: Bob Tissot, Alexander Kharitonov, Alex Rahill, Irina Rechitskaya and Larisa Zhukova. Edited by Daria Kolessova and Tatiana Bursianina. Compiled by Viktor & Anna Artemov, Julia Hamburg, Dave & Elfrieda Loewen, Vyacheslav Malinovsky, Katharina Penner, Vladimir Shevchenko, Alexander Kharitonov. Translated from Russian by Dace Suhareva. Written by Gary Fawver. Translated from English by Ingūna Gulbe. Edited by Sandra Medne. Written by Enoch Olson. Translated from English by Ingūna Gulbe. Edited by Sandra Medne. Written by Dave & Elfrieda Loewen. Translated from English by Marita Husko. Edited by Sandra Medne. Written by Peter Daniel Loewen, Sylvester Dirks, Dave & Elfrieda Loewen, Johann Hildebrandt, Anna Martens-Artemov, Alexander Kharitonov. Translated from Russian by Laima Dravniece. Edited by Inga Medne. Compiled by Viktor & Anna Artemov, Julia Hamburg, Dave & Elfrieda Loewen, Vyacheslav Malinovsky, Katharina Penner, Vladimir Shevchenko, Alexander Kharitonov. Translated from English. Written by Enoch Olson. Translated from Russian by David Jureli. Edited by Ramaz Paresashvili. Written by Sylvester Dirks, Johann Hildebrandt, Dave & Elfrieda Loewen. Translated from Russian. Ten Bible Lessons on Christian Ethics for Teens. Compiled by Viktor & Anna Artemov, Julia Hamburg, Dave & Elfrieda Loewen, Vladimir Shevchenko. Translated from Russian by Roman Bubniak. Written by Sylvester Dirks, Johann Hildebrandt, Dave & Elfrieda Loewen. Translated from Russian by Roman Bubniak. Written by Sylvester Dirks, Johann Hildebrandt, Dave & Elfrieda Loewen. Translated from Russian by Veronica Pruneanu. To order any of our publications, please contact our headquarters. Please note that publications may or may not be in stock at time of order.